Putting aside the fact that “NBA All-Star” feels like a pretty lame, off-theme pick—oh my god. I don’t think I’ve ever seen a bigger star pull something this egregiously racist. 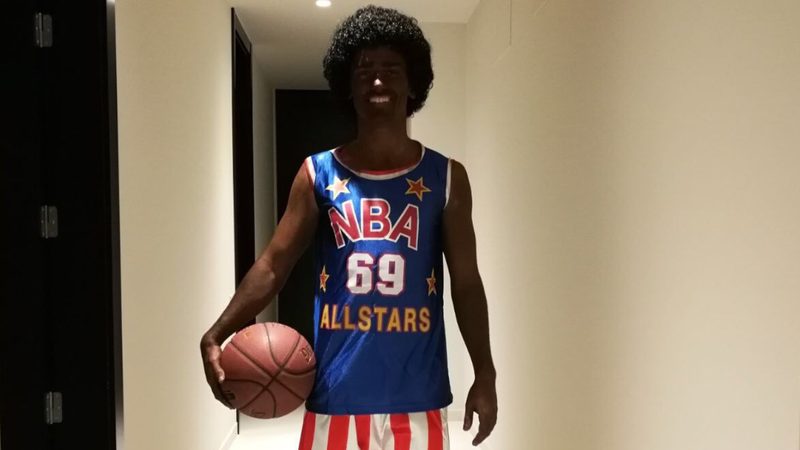 I mean, this isn’t even just blackface. It’s his whole damn body!